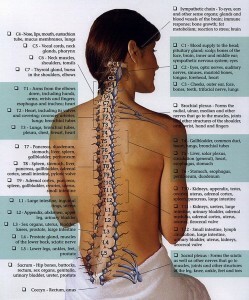 Services offered by our Chiropractor | Luke Raggio Chiropractic Gawler and Clare. Whether patients require fast pain relief or preventative and maintenance care, we consider it important to provide professional, comprehensive advice and treatment in a friendly, caring and cooperative environment. At Raggio Chiropractic we specialise in identifying, treating and assisting with understanding the cause of problems such as back and neck pain, muscle tension and stress, headaches and work/sports injuries. We aim to educate our patients about the importance of maintaining the health of their physical frame and of the significance of the nervous system in the maintenance of health and prevention of disease. A subluxation in chiropractic terms is merely another word for nerve irritation or aggravation. The results of a subluxation may be pain, muscle changes or organ dysfunction – depending on which nerves are being affected. Our services cater to men and women of all ages, and provides gentle and effective care for babies, children and expectant mothers. Click on this image to see how closely interlinked all parts of your body are. Are you aware of how your anatomy works?